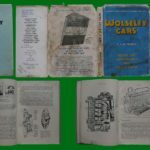 This page displays Items advertised for sale or wanted by members and non members. Pictures can be enlarged simply by clicking on them. If you have something you want us to advertise please submit details using the simple online form. Adverts on this page are free of charge to members and non members alike. All adverts will be reviewed prior to publication and we reserve the right not to publish any which we deem to be unsuitable. Adverts will remain on the page for 6 months or until the advertiser advises us of prior completion. IMPORTANT NOTE – PLEASE READ!! SCAMMERS ARE USING THIS SITE! 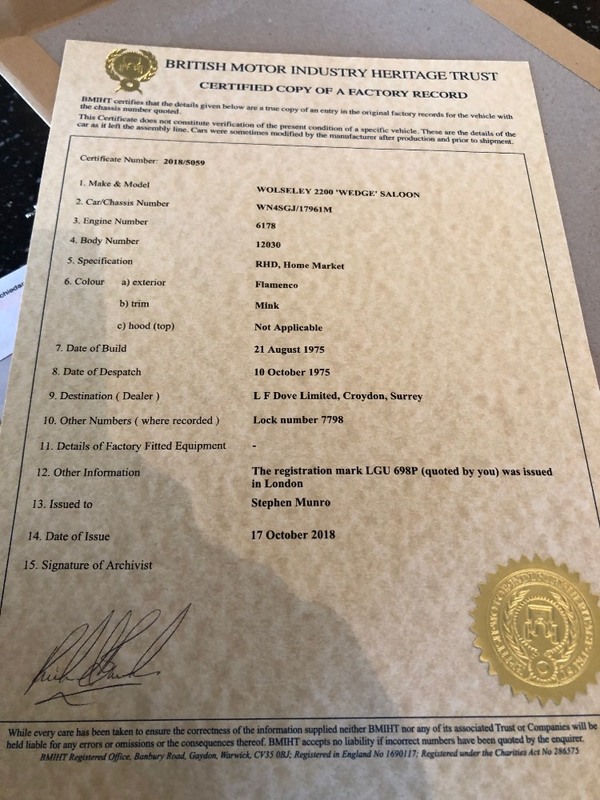 It is with regret that we have to make all users of these Classifieds aware that scammers operate on this page, as they do on all websites with open adverts. They both post bogus ‘For Sale’ adverts and reply to ‘Wanted’ and ‘For Sale’ adverts. 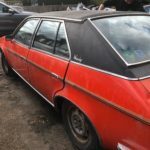 The ‘For Sale’ adverts posted on the website are usually for complete cars. 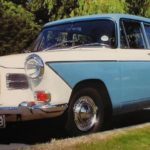 When considering buying a car, NEVER make any payment until you are absolutely sure that the sale is genuine and after you have seen the car together with its documentation. (The website team does filter out many of these scams before they are posted, but please remain vigilant as we are unable to guarantee that we catch every one). Replies to ‘Wanted’ adverts are usually via e-mails, but mobile phones are also used, (as both of these are virtually untraceable). You therefore need to make every effort to ensure that the seller actually has the item you want. Request pictures of the item, ask detailed questions about the item, try to catch the seller out! (Ask the webmaster if you would like some ideas on how to do this….). Replies to ‘For Sale’ adverts (for parts or complete cars) are usually via emails and are generic, ie. they often do not specifically state your name or the item they are supposedly interested in. The wording is generic so that it can be used to reply to multiple advertisers at the same time. If you do reply to these scams, you will find that the respondent attempts to stress that they really want to pay, and that he needs various personal details in order to ensure safe payment. 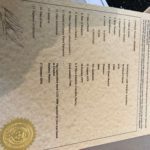 BEWARE – this scam is quite likely to be an attempt at Identity Theft! We have also seen evidence of potential money laundering scams. This is where a buyer (often pretending to be from abroad), agrees to buy an item and will arrange their own carrier. A hugely increased amount is then sent, stating this this will cover the carrier’s expenses, and that he will collect the difference from you when he collects the items for shipment. PLEASE DO NOT ACCEPT THE PAYMENT, AND REFER THE MATTER TO THE POLICE! If you receive a suspect email, please refer this to the Wolseley Register Webmaster, who will try to help confirm whether it is a scam. 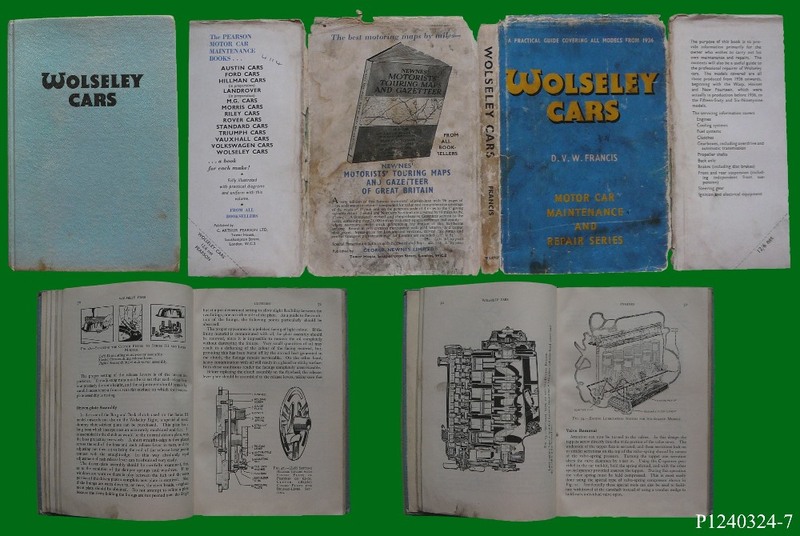 The Wolseley Register accepts no responsibility for cars or parts advertised in Newsletters, The Wolseley World, other Register publications, or on this web site. Neither does it accept any responsibility for scam, spam e-mails or phone calls received as a result of using this site. Contracts are between the individuals concerned and no liability may be attached to the Register or its Officers. 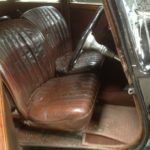 For a Series 111 Eight:- Sun Visor, Gearlever Knob, F & R Bumpers, Nearside rear door Bakelite trim + The two plates that fit at the front corners of the siding roof and lock it in place. Only 4 owners in 55 years, including me. Ive done about 200 miles only in 16 years of ownership. 1,600 cc. 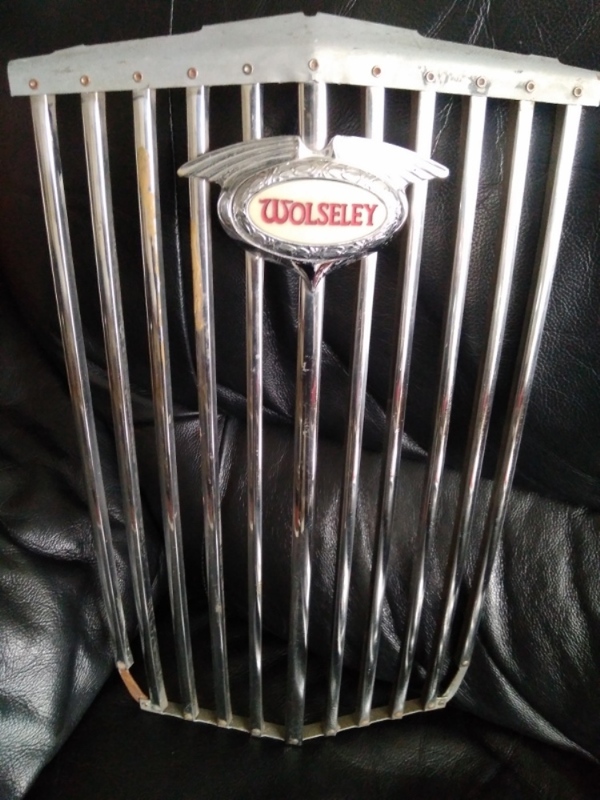 Purchased from Wolseley Register member in 2003,based in Brighton. 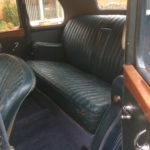 Two tone blue/cream, leather seats and walnut dash. Very sound. Loads of paperwork and original brochures. Boot load of spares. Was resprayed about 20 years ago, otherwise all original. Exact mileage unknown, as speedo was replaced, but I have that old speedo. Garaged in NW London close to J1 of M1. 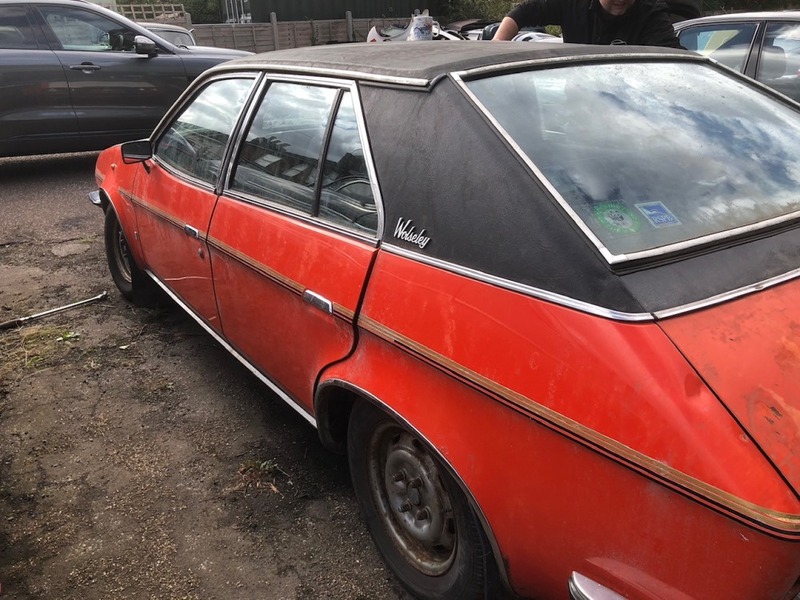 I bought it because my granddad had the exact same car – a pure nostalgia purchase. 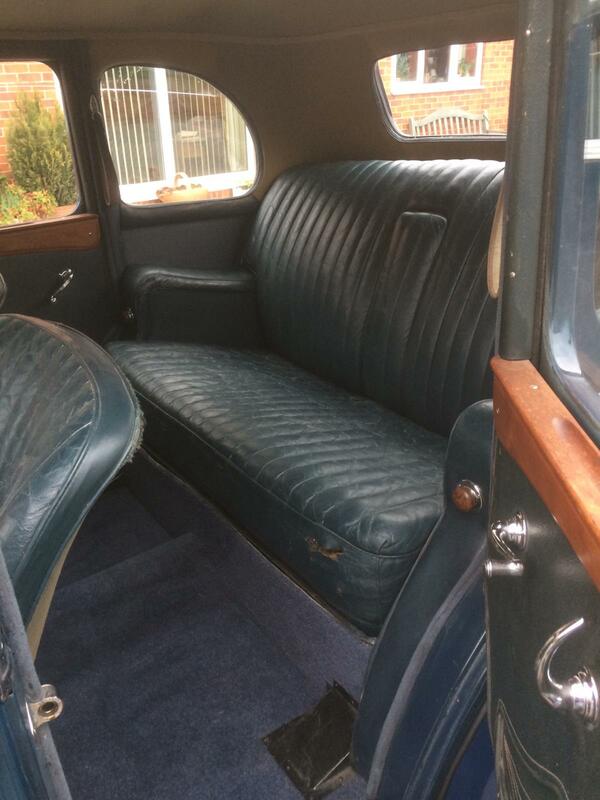 I just like to look at it and breath in the interior from my 1960s childhood. 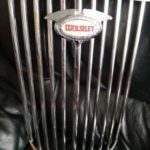 Grille bars and badge, believed for a Wolseley 1500. In really excellent condition with only a few minor scuffs and a paint splash. So good that it seems they may never have even been fitted to a vehicle. 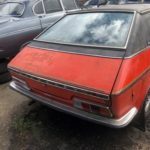 A rare opportunity to perfect a restoration or put aside a spare in case of damage. 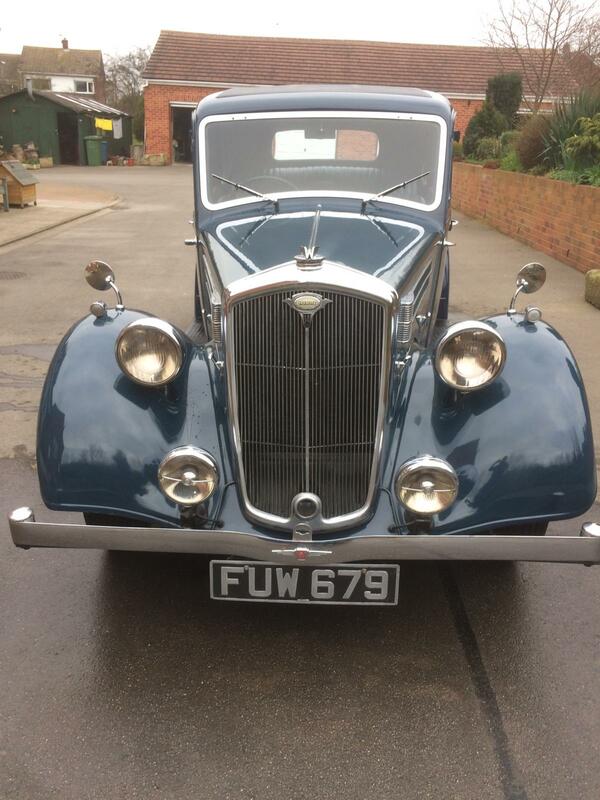 I am looking for £100 for the grille bars and £40 for the complete badge. Plus postage if required. PayPal or cash on collection from Cheltenham. 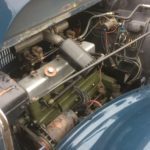 Engine for Wolseley 18hp series II, spares or repair.2288cc, straight six. 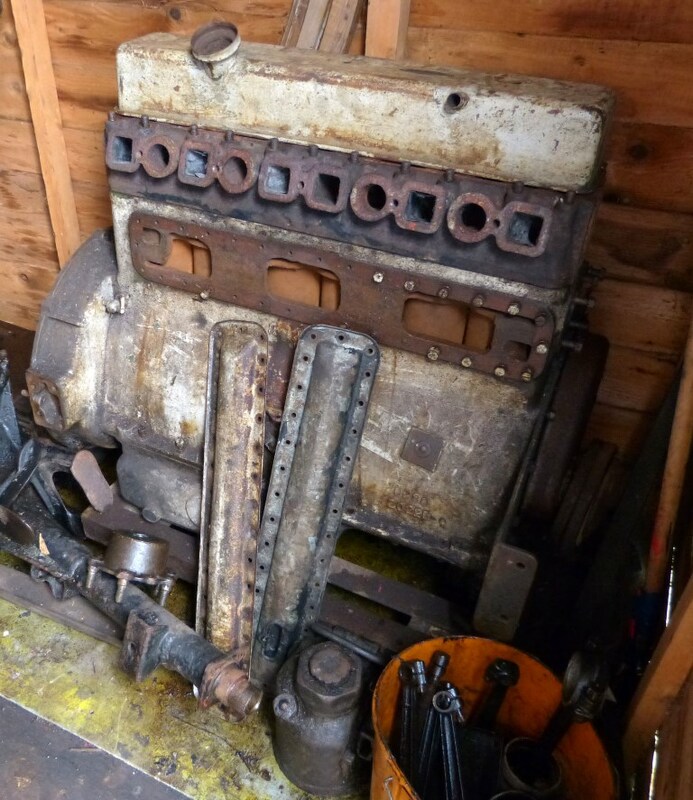 Partly stripped as per the photographs but believed almost complete as a ‘short’ engine, apart from one piston and the manifold. Turns freely but would need a COMPLETE REBUILD. Not sure what condition it was in before I got it. Came as a spare with my 18 which I got nearly 30 years ago and has been in the shed ever since. I have used one piston and the manifold to keep my car on the road. Seems a shame to scrap it but running out of storage. 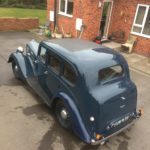 For sale Wolseley Wedge automatic LGU698P in Flamenco (project). 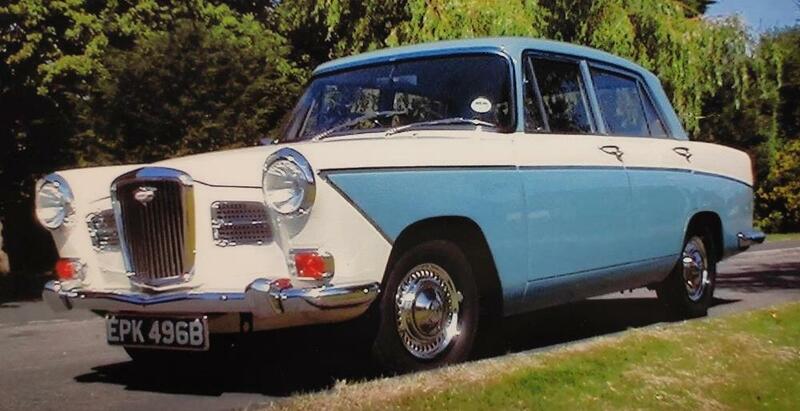 This is a very rare car and the more desirable automatic. 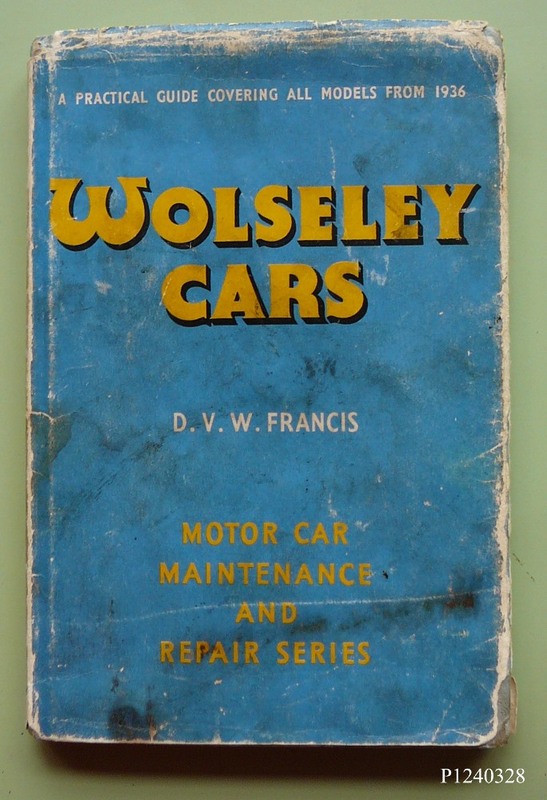 This car was was first built on 21st August 1975 and therefore must be one of the very last Wolseleys produced. 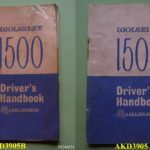 It was dispatched on 10th October 1975 to Doves of Croydon and sudsequently registered on 22/10/1975. 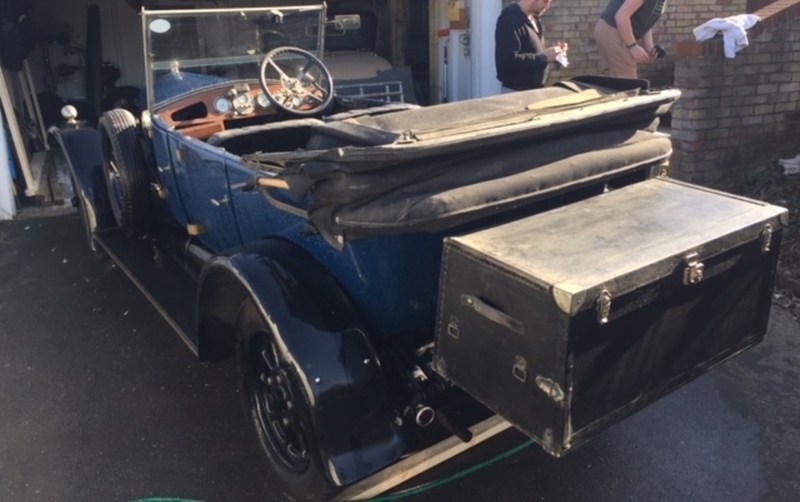 This is a restoration project the car is complete but have not tried to get it to run. 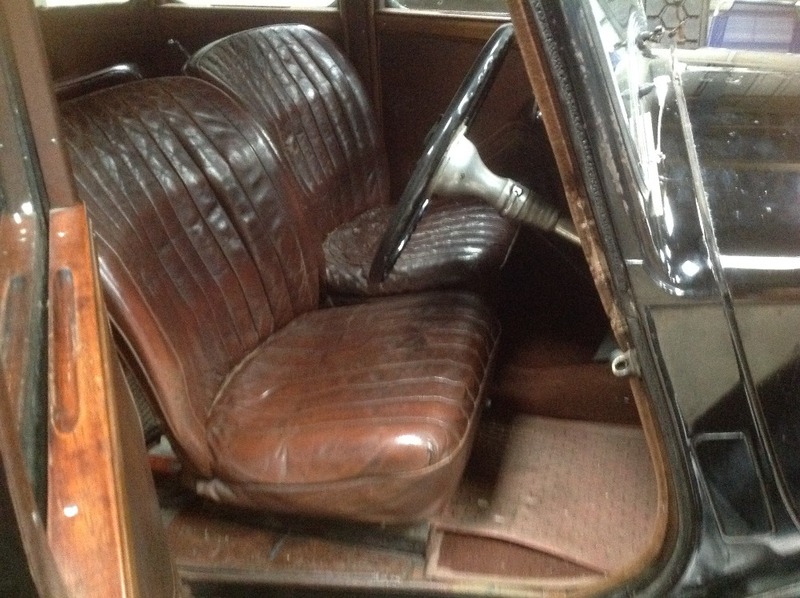 The car has a later HLS interior fitted but originally had mink interior as on the heritage certificate. 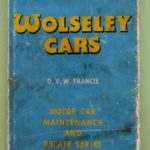 I have three old MOT certificates from 1999 to 2002. I have a spare engine and and auto gearbox that will come with the car. 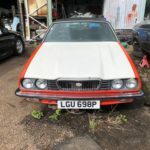 I am looking for offers around £1800 viewing by arrangement the car is in a yard in Leighton Buzzard. Bodystyle as per Prince of Wales car described by Norman Painting in his book. 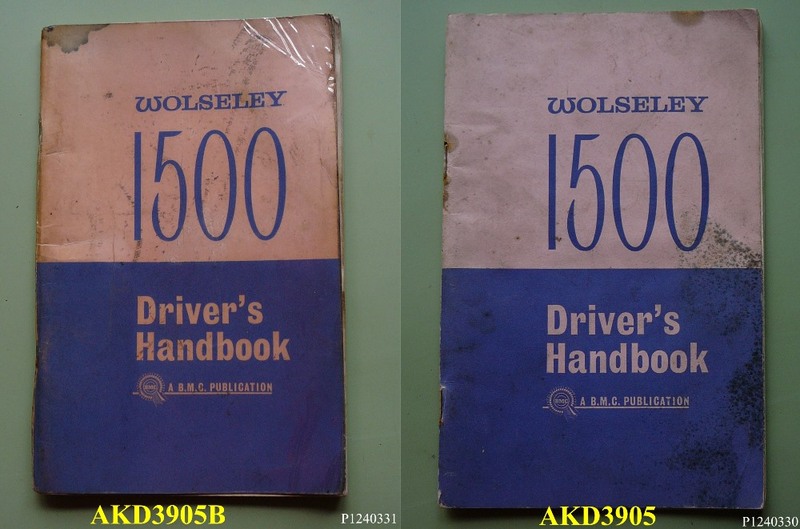 Excellent history to this car of which I and the Register have details. 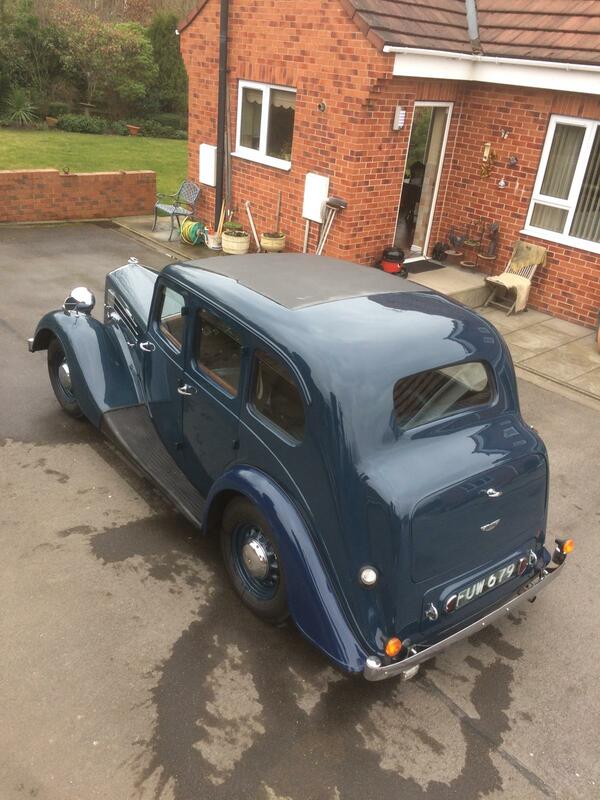 The body is in very good condition throughout with minor blemishes to the wings ,no rust. 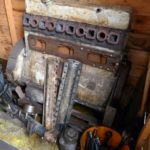 I am looking for a 4-44 engine or any parts. Any condition, it’s always worth asking ! 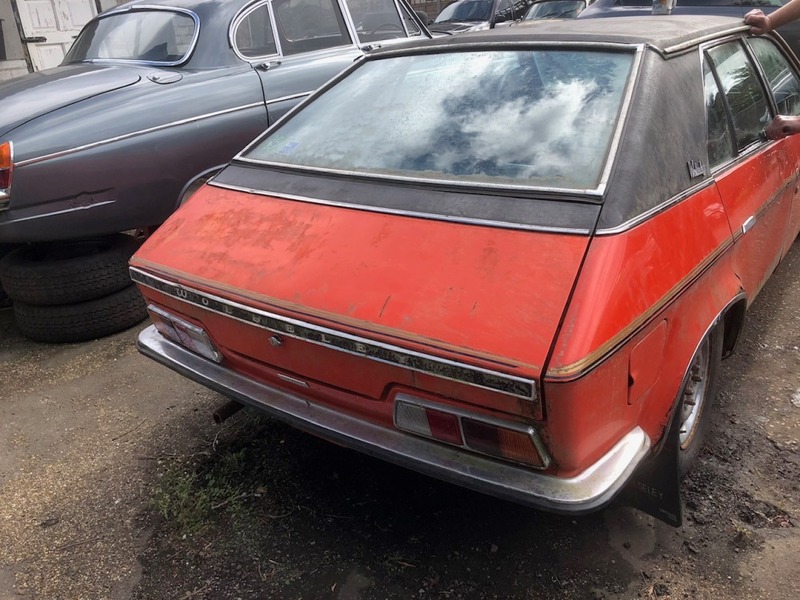 In full working order, bought as a long term restoration project by my late father, he had completed a partial respray, replaced all 4 tyres, however it will need further work to bring up to a concourse condition. 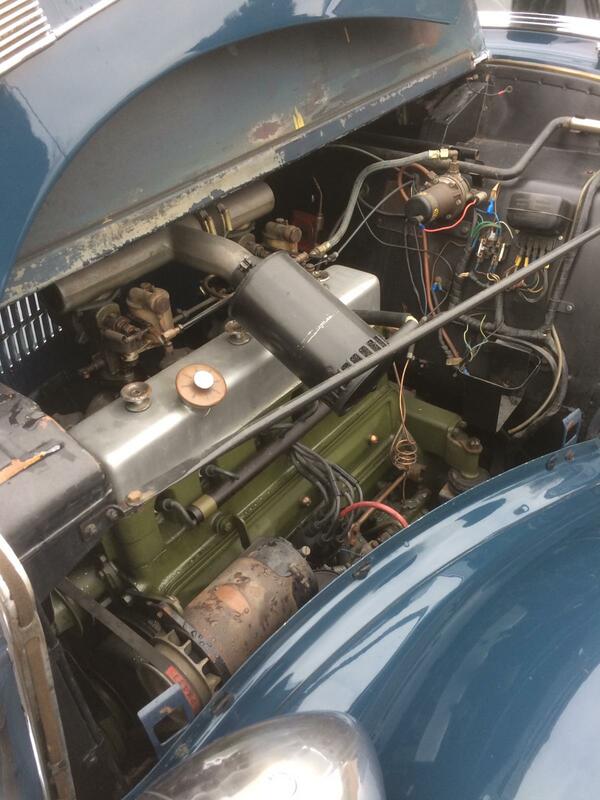 It has had a reconditioned Wolseley 18 rear diff to improve the driving experience and economy. 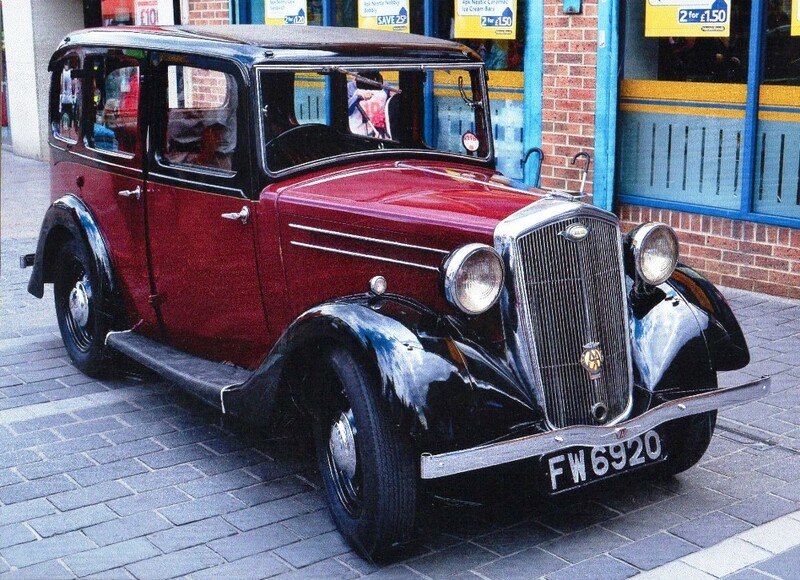 The car is believed to be a former Police vehicle as it has a Police Bell and Dashboard Reading Light. 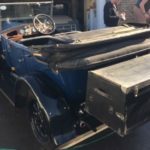 The car comes with a large number of spare parts including front and rear axles, fuel tank, wheel hubs and many other smaller items. A fitted car cover is included. If you require any further information or to arrange a viewing, please contact William on 07891639578. 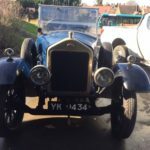 I require a carb for a 1930 Hornet Saloon. It is a 1 1/8″ SU model HV2, specification number AUC 81, with 494 body number. 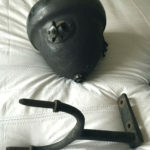 It should have a bottom feed float and is the same type fitted to the 14h Morris Major of 1933. 6/110. Appreciate any leads in this regard. It is with regret that I am having to sell my Wasp. 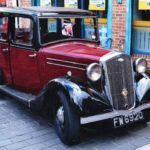 I have owned the car for 38yrs,but the passing of time means I am not capable of maintaining it. There are one or two small cosmetic jobs to do one being that the brakes which I had professionally done about 2 yrs ago, will need adjusting up as they were backed off for storage. Please ring for any further details, there are some spares with the vehicle, valves, +40 pistons used, crank etc. 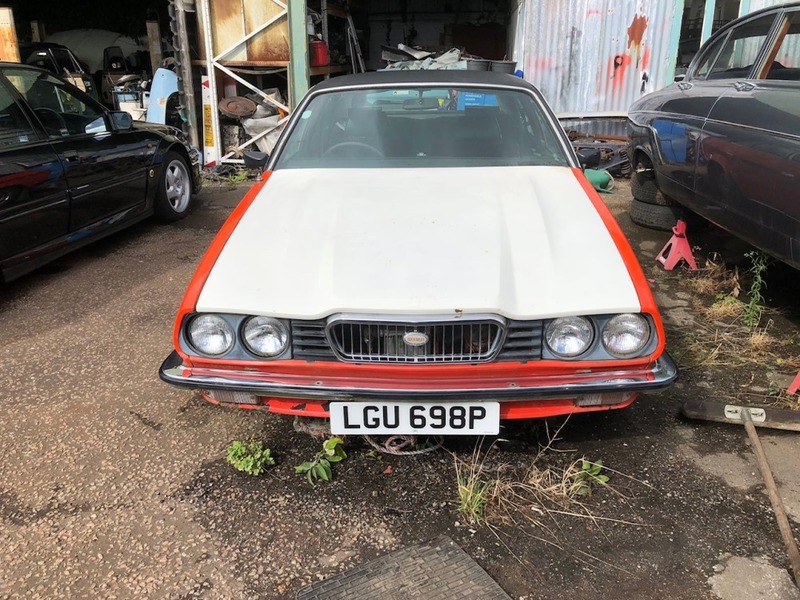 I would be looking for offers about the £6,000 mark. 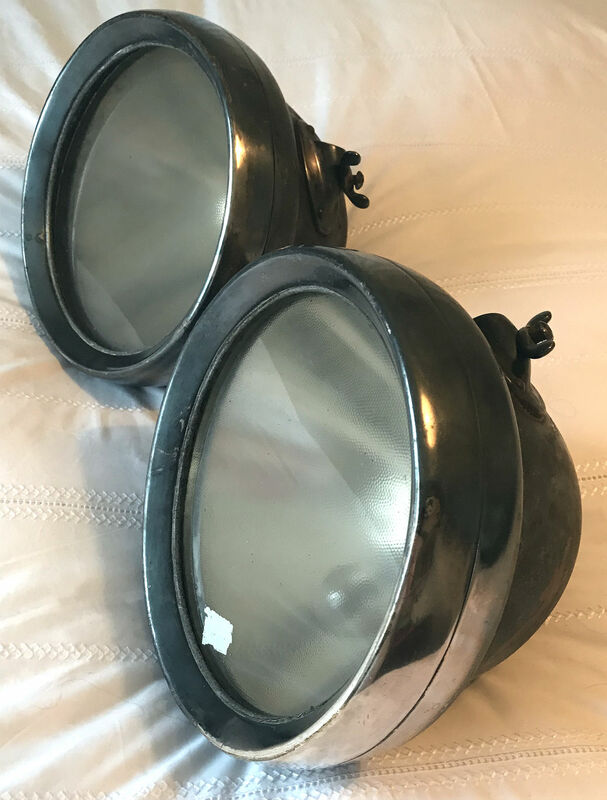 For Sale: Lucas King of the Road bell lamps, Type L76. The width of the glass (not including the rim), is eight and a half inches. 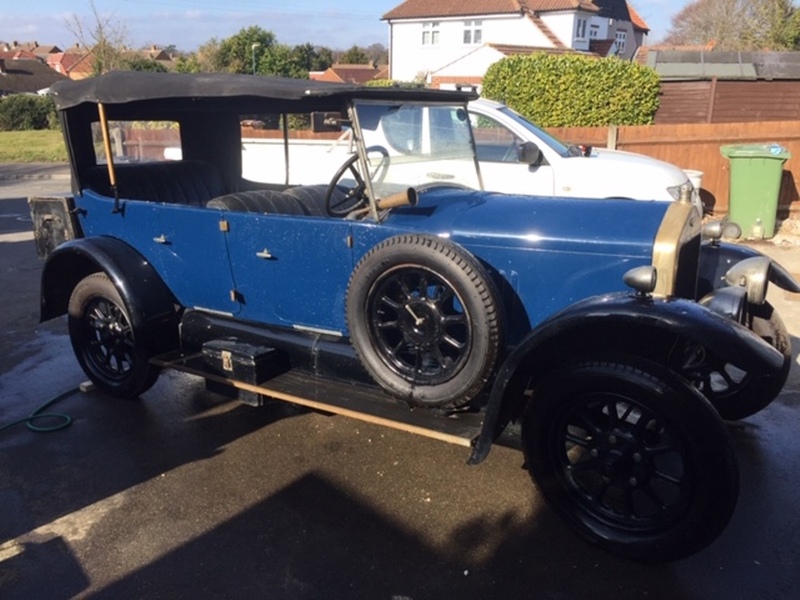 Believed to have originally been fitted to a Wolseley from the 1920’s era, but presumably fits other early models as well. 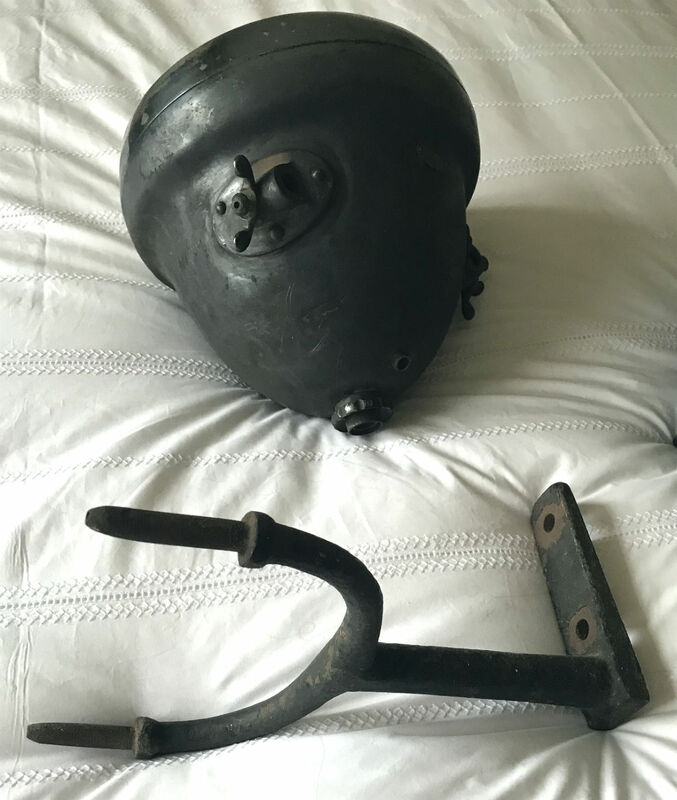 The lamps are finished in nickle plate, and are complete with the original cast iron mountings. All in excellent condition. although the nickle does need a polish. 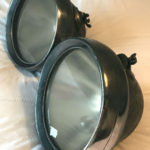 Price: Offers in region of £175 pair plus p&p. 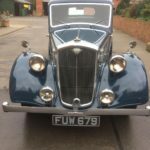 Wolseley 14/60 Series lll for sale. Built in 1938 and registered 1/1/39 ,before the fireworks ! 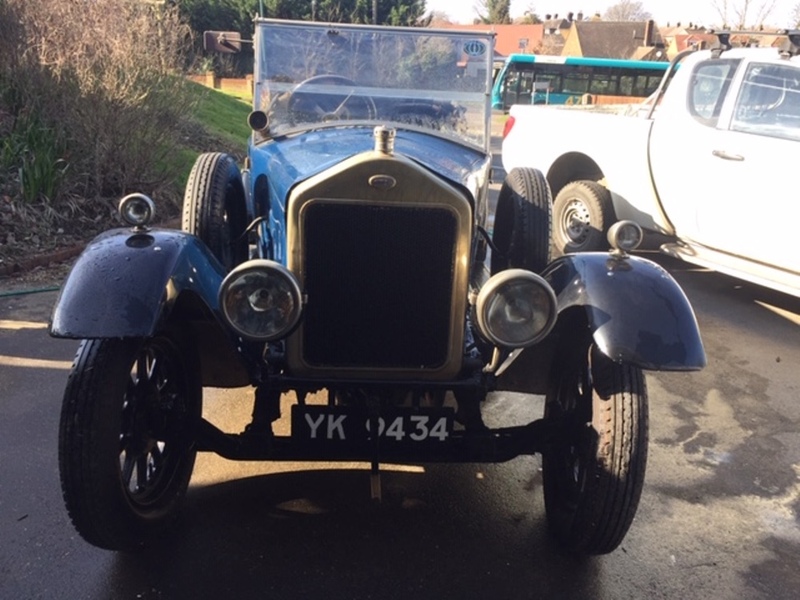 First owner had it for 21 years , .Five owners before me ,all recorded on the original buff log book .Been to the Morris rally in Switzerland twice ,screen stickers to prove . 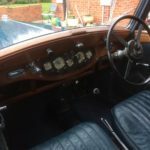 The car had never been restored so paint ,chrome and leather are all original apart from the odd touch up . Very unusual to find a car with this patina . 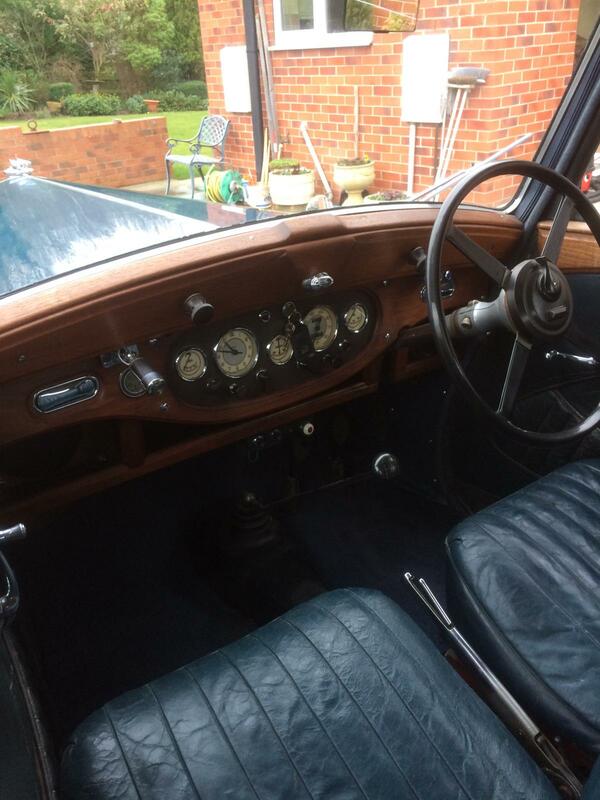 Runs very well ,smooth and very quiet ,good oil pressure when hot. . 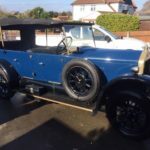 Recent work includes brake overhaul ,stainless exhaust front to back ,new sunroof drains ,back and front ,new battery ,set of tyres ,running board out riggers . Starts on the button and pulls like a train .Everything on the car is in working condition ,except the Jackall system which ,although complete ,has not been used for some time .